Commercial GEO satellites, ordered in recent years at a rate of roughly two dozen per year, have long been the mainstay of the commercial launch industry. However, those orders have recently plummeted, with no signs of a revival in the near term. Bruno said the “pause” in the GEO market is linked to the uncertainty among GEO satellite operators about the effects proposed low Earth orbit constellations will have on their business. “I also think that will eventually lead to a sort of reset in the GEO marketplace,” he said, with those constellations taking some, but not all, business away from GEO systems. 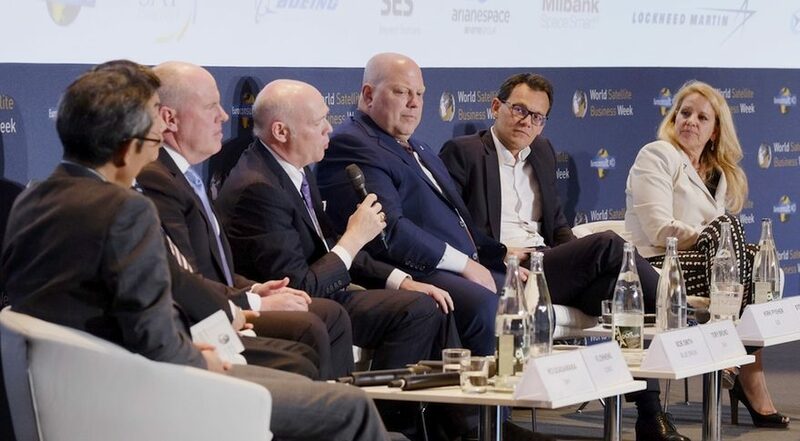 Arianespace Chief Executive Stéphane Israël agreed that the GEO market has been “quite soft,” which can have a significant effect on his company because of its traditionally heavy reliance on commercial GEO business. He’s turning to government customers to make up for that diminished demand. “It is clear that in this kind of situation, if we want to make it, we absolutely need institutional missions,” he said. Another factor complicating the shift in markets is a shift in launch vehicles. Nearly all the companies represented on the launch panel, including Japan’s Mitsubishi Heavy Industries and China Great Wall Industry Corporation, are in the process of developing and fielding new generations of vehicles. All said they expected to have transition periods of several years where both existing and new vehicles will be in operation simultaneously before retiring the older generation of vehicles. The exception on the panel was Blue Origin, which currently working on its first orbital launch vehicle, New Glenn. “We will be happy to transition people off of our competitors’ rockets onto New Glenn,” said Blue Origin Chief Executive Bob Smith.